A magnificent borehole watered garden with rolling lawns bordered by trees and colourful shrubs invites you to this stunning home with Cape Dutch facade and open plan modern interior. This versatile 5 bedroomed home is great for entertaining and outdoor living. 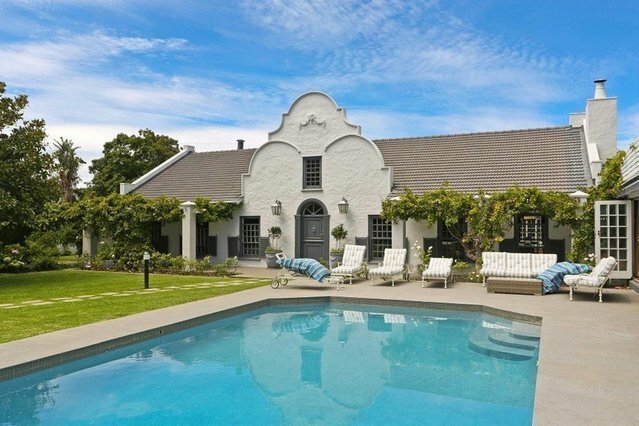 Central location within easy proximity to restaurants, Constantia Village and Constantia's amenities.